College Football Saturday and finally get a break to post!!! 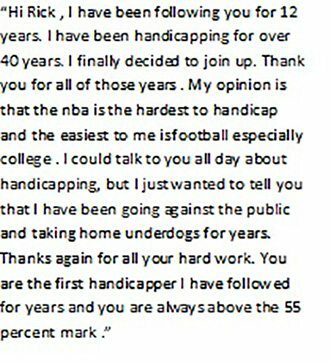 Friday we had a 1/2 unit play in the NBA with Phil +8 and they not only covered but won the game 113-110. That was it for Friday as some games that were on the fence never panned out. Today we have pending for Plays I have sent out 4 one unit plays. This includes Sunday also so far. I received an email last night regarding what to expect in the way of a number of plays. As subscribers know we go through periods that are slow and then some periods where plays are plentiful. One thing I have learned over the years is that it is never a good idea to force plays. So my rule is if there is not a play I do not make one up! I would rather have no plays then plays that are tossups at best. I am on a nice run right now in all sports so perhaps it will continue! 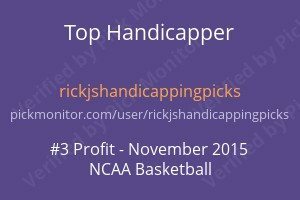 I am cutting this short as I still have some handicapping to do on today College football games.